Your business card says so much about you and your business. 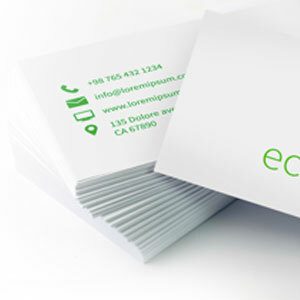 Our business cards are premium quality and we can supply in a variety of weights and finishes. Business cards are typically matt laminated, although we also offer uncoated, gloss varnish, foil blocking, spot uv and soft touch for that something a bit special.